When it’s frigid outside and the interior of my car is exceptionally cold, I turn on the passenger seat heater in addition to my own seat heater and the regular heater, thinking that the minuscule amount of heat emitted from the warm, empty seat beside me will help warm up the interior, and therefore me, faster. It’s ridiculous, I know. Stupid, too. There’s no way that small amount of heat makes any real difference at all. Nevertheless, it makes me feel better. I like knowing that I’m doing all I can to get warm. I never speak about myself in terms of getting old. It's a common refrain. A colleague's knee is sore. His back hurts. A friend can't instantly recall a name or a place. A actor or musician who you adored as a teenage passes away. A younger cousin describes a dating scene that is entirely foreign and incomprehensible to you. So often, the response to these moments is some form of the phrase, "I'm getting old." I never say these words. Never ever. I believe in positive self talk. I believe in a spirit of optimism. I believe that they way we think about ourselves will dictate how we act and feel and move through this world. I believe that the first real step to getting old is to beginning to think of yourself as old. As soon as you say those words - even in jest - you begin to accept those words as truth. From there, the decline commences. You feel old. You attribute ever sore muscle and every cognitive hiccup as a sign of old age. You start to play the role of an older person. You do less. You risk less. You slow down. You stop trying new things. You dreams become finite. Never say that you're getting old. Don't accept or embrace that notion. We all know people who are 60 or 70 or even 80 who seem to possess more energy and enthusiasm as someone half their age. I have friends who are well into their 60's and 70's who I think of as my age because of the youthful way they live their lives. I also know people who are 40 or 50 whose lives have already ground to a halt. They whine. They complain. They view their circumstances as fixed and unchangeable. Their days roll into one another with little variation or distinction. They have become creatures of routine and inaction. It's an old adage that age is a mindset, but I believe it. I'm 46 years old, but in my mind, I'm the same person in terms of energy, enthusiasm, and mental prowess as I was when I was 26. In my mind, the only thing that has significantly changed in the past 20 years is my hairline. I don't feel old. I don't even feel older. Truly. I think part of this mindset is the enormous amount of positive self talk in which I engage, coupled with the avoidance of pessimism and negativity. It’s estimated that you say 300 to 1000 words to yourself per minute. That's an astounding amount of feedback and reinforcement that you are receiving every day. How you choose to speak to yourself makes a real difference. What you say about yourself to yourself can dramatically alter the way that you feel and act and move through this world. I believe this. I don't say that I'm old. I don't even say that I'm older. Things I do #11: I get angry at the other versions of me. Assuming that the theory of the multiverse is correct, I often find myself angry at the other versions of me that live in alternate timelines where Trump is not President and the world still makes sense. I've never watched The Sound of Music because every clip of that movie that I've ever seen makes the movie look boring and melodramatic. Through cultural osmosis, I've learned that the story centers on the von Trapp family and a nanny named Maria who likes to sing and dance in fields at the foot of mountains. I also know that Nazi Germany plays a role in the film. Maybe they are in Germany? Maybe they are in a country recently invaded by Germany? I also know that the film stars Julie Andrews and a bunch of identically dressed children. My assumption is that Mr. von Trapp is a widower, and Maria will eventually marry him after winning over the love of his brood of children, but that might be entirely wrong, too. Either way, it looks so damn boring that I've never watched it. I've left the room on more than one occasion when people are watching it. I recently offered to watch it with Elysha, just to see if I am correct in my assumptions, but she declined. She told me that she values our marriage too much to listen to me critique and disparage a film that she learned to love as a child. She apparently doesn't think I'll like it, either. 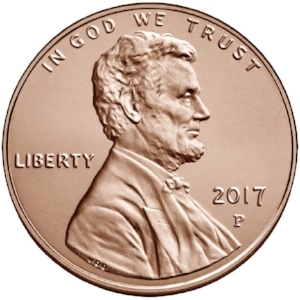 I plant pennies heads-up throughout my home and in the wild because of the commonly held superstition that finding a penny on heads is good luck and/or allows you to make a wish. I like to think that every heads-up penny makes someone feel a little bit happier. In our house, Charlie accompanies these discoveries with, "Find a penny. Pick it up. All the day you'll have good luck!" Happened twice yesterday. He was so happy. Makes me a little happier, too. In my relentless, obsessive desire to get ahead and be productive, I purposely attempt to cut every corner in every hallway in order to shorten the distance between the two points and perhaps recapture a little lost time. This is ridiculous, of course. Unless I am walking an endless array of hallways for hours and hours, the fractional seconds that I am saving by cutting these corners will never amount to anything. Then again, over the course of a lifetime, they will add up. These fractions of a second, when combined over years and years, will result in a significant amount of time. Unfortunately, these fractions of a second can never be added up in any practical sense and used in one large chunk, and therefore they will always remain as tiny, useless fragments. Still, I do it. And it feels right. And therein lies the crazy. Last night I performed in a club in Lewiston, Maine constructed in large part of brick. Whenever I find myself adjacent to a brick wall, I reach out and touch a brick, knowing that a bricklayer once placed this brick, and all the rest around it, into the wall. Unlike sheet rock or plaster or wood, I feel like I'm reaching into the past when I touch a brick. This small object was once held by a human being who spent hours constructing this wall, and perhaps days and maybe weeks constructing all the walls all around me. It's the perfect example of something born from nothing. Craftsmanship and artistry constantly seen and yet almost always ignored. It's a wall that will likely last longer than the person who built it, and when I touch a brick, I feel like I'm reaching into the past and connecting with the person who placed this particular brick in this particular place. It's my attempt to acknowledge the extension of their existence, our connection in this moment, and my gratitude for their talent and labor. It's also another example of my persistent, ongoing, omnipresent existential crisis, but you probably knew that already. When I am alone, I often drive with the windows down, the heat or AC blasting depending upon the season, and the music at full volume. Loud enough to make people stare. It might sound a bit juvenile, but I assure you that it's also the best way to drive a car, and it is so, so good for the soul. Things I Do #3: I talk to dead trees. I speak to the stumps of long lost trees that I once loved. I tell them how much I miss their leaves and shade and majesty. Yes, I speak to these stumps aloud, and yes, I use the word "majesty." There are three of these stumps in the world that I am currently speaking to on a regular basis. One is on the golf course where I frequently play. Another can be found on the playground of the school where I work. The third is in a local playground. Sometimes I sit on the stump if I have a moment to chat. As I've said before, I'm basically a walking, talking nostalgia machine that suffers from a permanent existential crisis. I whisper the names of teachers who once worked in my school as I enter the building each day. These are people who have retired. Moved onto new schools. New careers. New opportunities. After almost 20 years, there are a lot of them. Many of them are people who were as close and dear to me as anyone ever in my life. Thankfully, many of them still are. Remarkable educators. Good people. The best of friends. I whisper their names, starting with Elysha. I see them in my mind's eye. I think about the days they spent teaching children inside these brick walls. The laughter we shared. The unforgettable moments. I squeeze as many of them into my mind as possible before slipping through the door and starting a new day. I'm basically a walking, talking nostalgia machine that suffers from a permanent state of existential crisis. I warn them that they only have three days in this world. Three days before death. I warn them that they need to make the most of the little time they have. I'm fairly emphatic about it. I urge these tiny creatures to seek out new horizons. Find interesting spots to land. See all that they can see before it's too late. I've been doing this for years with greater regularity than you might imagine. I offer this advice aloud if it's just me and the fly, but on Friday, a friend caught me doing so at the end of the work day. It made me realize that I do a lot of possibly odd but perhaps more normal than I realize things that I have never spoken of or written about before. So I'm making a list. I'll share items off my list every now and again. Unless it turns out that I really, really shouldn't.